The next upcoming Shemini Atzeret starts on sundown of Sunday October 20 ending at sundown on Monday October 21st, 2019. Shemini Atzeret, with Shemini meaning eighth follows the seven day holiday of Sukkot and can be considered the eighth day of Sukkot in many ways but not all ways. This day on the Hebrew calendar falls on 22 Tishrei. 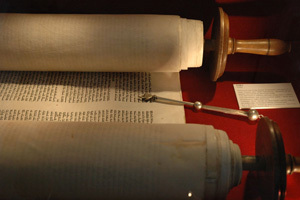 Many in Israel will celebrate Shemini Atzeret and Simchat Torah on the same day, however others in the rest of the world will celebrate them one day after the other making them two separate holidays with Simchat Torah falling on 23 Tishrei. Jews will celebrate by joining together or assembling on the eighth day of Sukkot with a focus on their love of God. Traditionally this day was important as it relates to water and rainfall for the upcoming year and the overall effect on the crops. Many will say a prayer for good rainfall to come.